In 2005, author Richard Louv coined the term “nature-deficit disorder” outlining society’s disconnect with nature and the negative effects on not only our children, but our communities. Louv identifies seven basic concepts that can help us reshape our lives. By tapping into the restorative powers of nature, we can boost mental acuity and creativity, promote health and wellness, build smarter and more sustainable businesses, communities and economies, and ultimately strengthen human bonds. Recent research out of Germany also focuses on free play helping children to develop the flexibility needed to adapt to changing circumstances and environments – an ability that comes in very handy in the unpredictable life of an adult. And in a 2008, a University of Illinois study, established that children with ADHD had significantly better concentration after a walk in the park versus a walk in an urban setting. There is positive research everywhere, and negative research nowhere. The most inspiring research for me however is the journey of David Bond in the film Project Wild Thing. Like city kids everywhere, his own children spend too much time indoors and he decides it’s time to get back to nature – literally. If you’ve not seen the film already – at the very least watch the trailer. 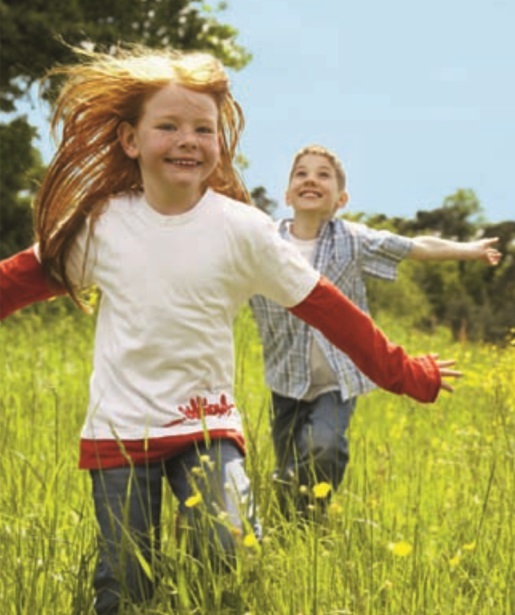 The Nature Play Programme in Australia was originally devised and implemented in Western Australia and has expanded to become an established nature play advocate in South Australia and most recently in Queensland – encouraging our children to make the move from the TV or computer room to the backyard, park or local bushland. We have the responsibility to create engaging play spaces, activating public open space and connecting local communities as a vital link to ensuring our children get to enjoy the unstructured play every other generation has taken for granted. I guess that means we should all get outside and play!